This worksheet displays frogs on a log. 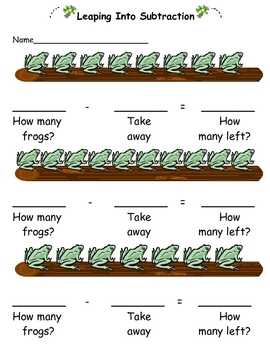 You can incorporate frog manipulatives and use a dice to decide how many frogs to take off the log. Geared for primary students during a frog themed week.